SAN FRANCISCO -- With the left side of their infield banged up, the Giants added an insurance policy for the final week of the regular season. 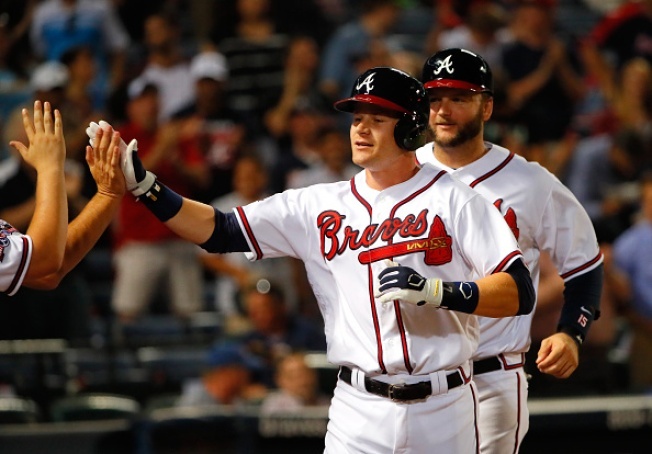 Veteran infielder Gordon Beckham was acquired Tuesday from the Atlanta Braves for minor league infielder Rich Rodriguez. The Giants also added a third catcher, Tony Sanchez, to the roster for the final homestand of the season. To clear a 40-man roster spots, the Giants designated left-hander Matt Reynolds for assignment and put outfielder Mac Williamson on the 60-day disabled list with a strained quad. The Beckham move, which was set to be announced later Tuesday, gives the Giants needed infield depth. Eduardo Nuñez will miss two or three days with a hamstring strain and Brandon Crawford is playing through a dislocated left pinky finger. With Conor Gillaspie taking over at third base for the time being, the Giants would have been playing with just two backup infielders. Thus, the trade. Beckham, 30, is batting .217 in 273 plate appearances this season, with five homers. He has played second, third and shortstop for the Braves. "With what happened there with Nuney, we felt we could use the help," manager Bruce Bochy said. Sanchez, a longtime Pittsburgh Pirate, played 16 games for the Sacramento River Cats and hit .200 with two homers. He will allow Bochy to use Trevor Brown as a pinch-hitter or run for Buster Posey. Reynolds has been charged with five runs in six innings for the Giants. Without him, the club still has five left-handed relievers available. Williamson pulled his quad running down the line during a game in San Diego. His rookie season is over. The Giants entered play Tuesday just a half-game behind the Mets in the wild card race.